Security quarz sand filled gloves! Now with 4 separate sewed sand-chambers for for an equable sand allocation. With velcro fastener for perfect fit on the wrist. 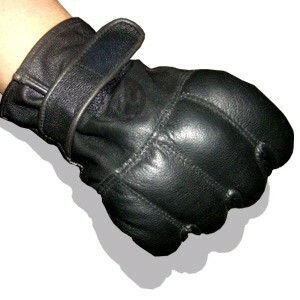 More security and power with this professional security gloves! Related links to "CI tactical operation gloves, leather with quartz sand"
Customer evaluation for "CI tactical operation gloves, leather with quartz sand"